A reminder that supporter kit is for sale. If you’ve enjoyed reading this year then why not get something for yourself and tip some coin this way at the same time. Caps are a classic and what you see is what you get, these are cotton caps made in Italy. The price is £7.50 (about $9.50 / €9) plus postage which depends on the destination. To get your hands on one visit the prendas.co.uk shop. Supporter jerseys are £55 (roughly $70 / €65) plus postage. They’re light for summer but northern hemisphere readers can always wear them under their thermal jacket or Gabba-style top. They’re classic road jerseys with an extra zipped pocket on the rear and made by Santini and the Prendas website has all the info with details on sizing and more. 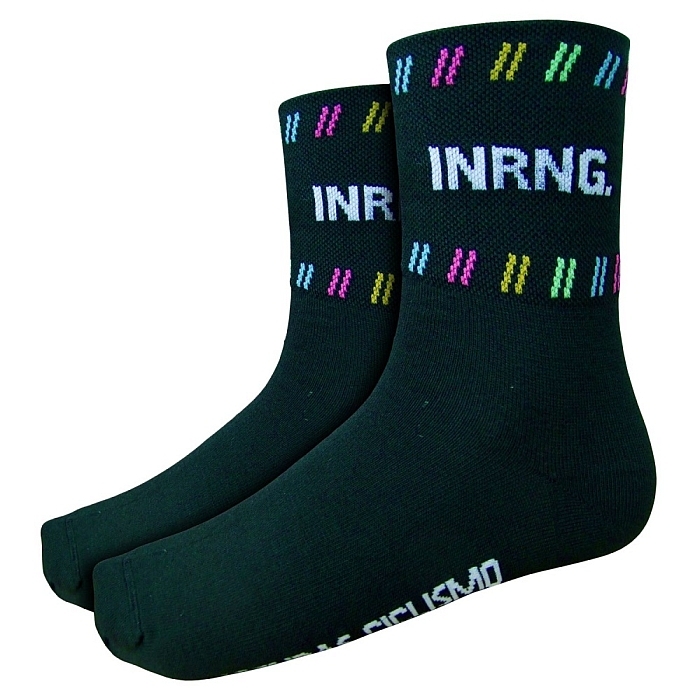 The supporter socks are black and have a 75mm medium high cuff. They’re comfortable and durable, the kind you can wear with ordinary shoes if you wanted and made in Italy from Coolmax and Lycra from Prendas Ciclismo at the price of £6.95 (about $9 / €8). The sales revenue is split between Prendas and me meaning you get some new gear but also help give a tip for the writing this year. If you’re thinking of making a purchase but unsure of the size or something else do phone or email Mick and Andy at Prendas Ciclismo, it’s an online shop backed by two friendly cycling enthusiasts who can advise you in between collecting vintage jerseys, supporting British riders via the Dave Rayner Fund and the special Banana team kit or sponsoring the Drops women’s team. I’m about to admit I’m flogging a dead horse when I inquire as to why there’s not a simple DONATE button attached to this wonderful website? Those of us who aren’t fans of black, prefer to wear stuff with their own logo on it, or just don’t need any more stuff could quickly and easily throw something into your account. Is there some law in your country preventing you from having a Paypal account and a button that would direct the viewer to a way to offer up some money? We take 98% of our deposits and payments for tours via Paypal for example. I suggest sending Inrng an email transfer! There are no laws preventing Inrng from accepting this form of payment. +1. Maybe I’ve got too much kit, but I haven’t worn out my existing hats, jersey and socks. Same here. Any kit is a waste on me and I only gift our own stuff. Other websites charge for extra content but it’s not worth it. Your regular content is worth money. Good question/idea. Of course, I can always use a new pair of cycling socks…..
kit’s fab and Prendas are great… bibshorts for 2017? I am wearing the socks at the office now actually. Very comfortable. Not a fan of black jerseys though, and already have a lot of caps, so bibshorts would be a good idea. The Santini ones I got from Prendas are my summer faves. 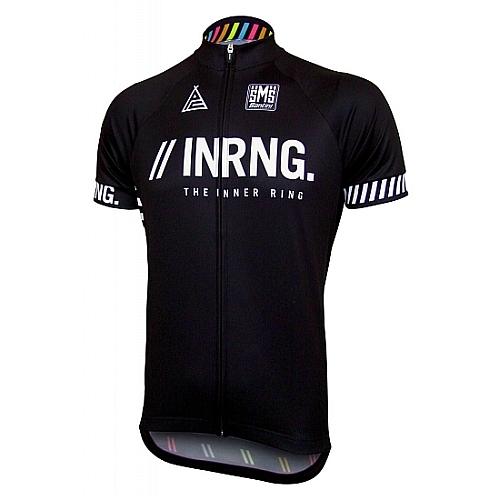 Alternatively, a more colourful jersey, whether short sleeve or long. You’re allowed to wear them in the office, as long as you walk / run the stairs. Got several pairs last week actually. Ordered them in the afternoon, and they arrived the following morning. Well, I rode to work and ran up the stairs so that is OK. Thanks! My wife and I have several pairs of the socks each and a jersey each. The quality is excellent and the designs are cool. Thoroughly recommended! As others have commented, a pair of bibshorts would complete the look! it’s a really good looking jersey in person. They run a little bit big though. I talked to the prendas people and ended up getting a large, which is a tiny bit loose through the trunk. You might size down. Santini jersey runs big? Really? They used to provide our kit and our experience was very much the reverse. We’re now with Nalini and I find I’m one size smaller in most clothing items. I was surprised. I’m an ex-surfski racer, still with some shoulders, and I usually size up in Italian kit. But this is definitely sized more like an American company. I would normally wear M or L in “normal” clothes but settled on XL to find a long enough length for the inrng jersey (but I’m well over 6ft to be fair & it’s always tough to find cycling stuff that fits). Anyway, it’s a lovely jersey, top quality. 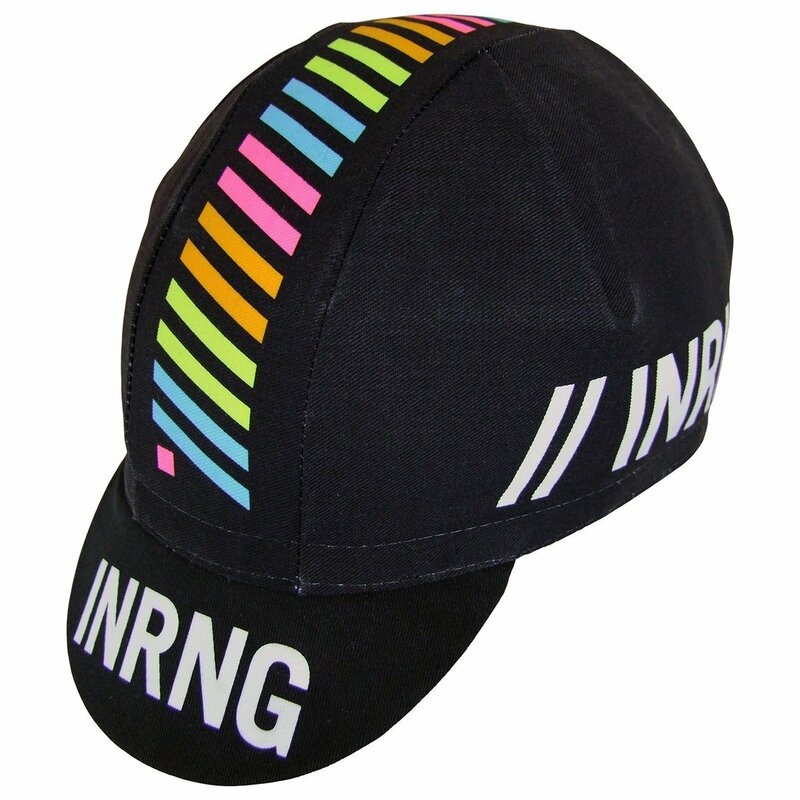 A big thumbs up to inrng, Santini and Prendas. That’s been my experience, but more on the well….girth rather than length issue. But I have nothing but good things to say about Santini’s quality overall, I still wear stuff they produced for us more than a decade ago. Same for Prendas, I got a long-sleeve jersey (Santini) not too long ago and they took good care of my needs. Next post: Why Have So Many French Cafés Closed?